Sint Maarten is a constituent country of the Kingdom of the Netherlands. It encompasses the southern 40% of the Caribbean island of Saint Martin, while the northern 60% of the island constitutes the French overseas collectivity of Saint-Martin. Its capital is Philipsburg. It has a population of 37,000 on an area of 34 km2 (13 sq mi). The official languages are Dutch and English. A local English-based creole dialect is also spoken. An annual regatta is also held over 3 days culminating in the first weekend in March. Among the leading cultural artists of the island are Isidore “Mighty Dow” York, kaisonian, panman; Roland Richardson, Impressionist painter; Nicole de Weever, dancer, broadway star; Susha Hien, choreographer; Lasana M. Sekou, poet, author, independence advocate; Clara Reyes, choreographer; Tanny and The Boys, string band music group. The island is famous for its runway at Princess Juliana International Airport, in which landing aircraft pass within at least 20 feet of Maho Beach below, due to the close proximity of the runway to the ocean. The planes appear to land dangerously close to beach goers. 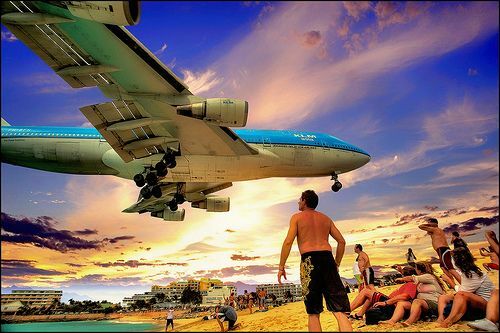 Therefore, this beach and airport has become a popular place for people to view airplane landings. “VillaMatch is all about finding you the most exclusive villas in the most beautiful places to ensure you a perfect time” VillaMatch: the perfect villa, the perfect match.